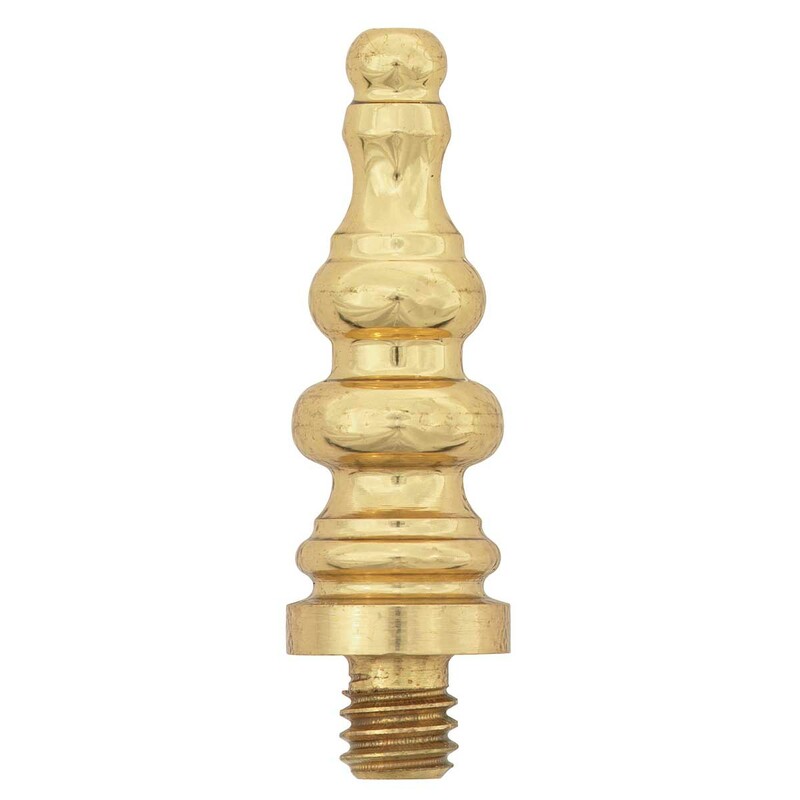 The overall length of these finials is 1 7/8 in. Threaded part only is 3/8 in. 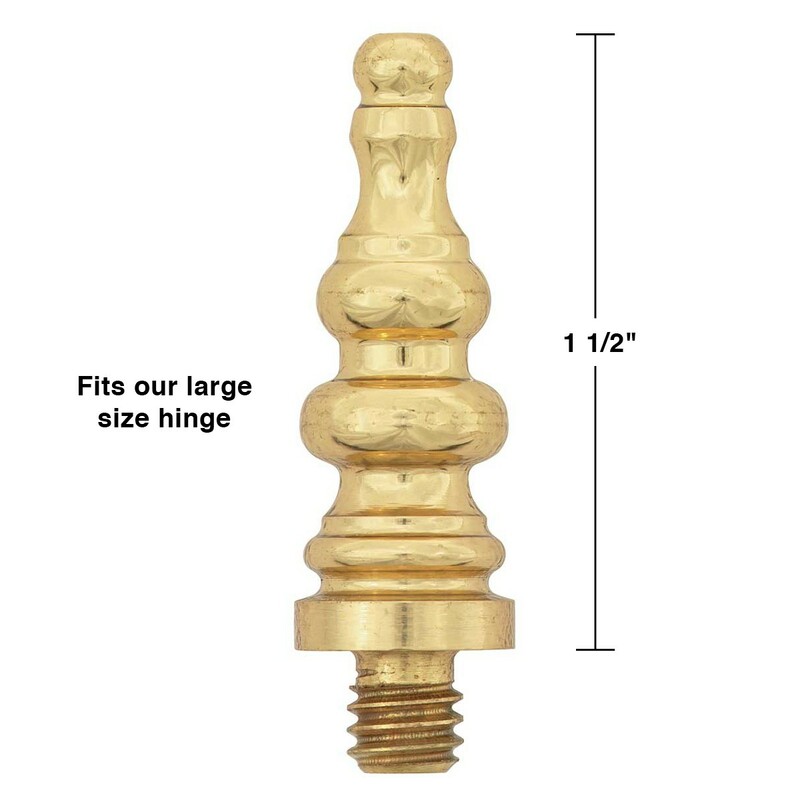 These RSF brass steeple hinge finials come in a pair and fit our large (3 1/2 x 3 1/2 in, 4 x 4 in, or 5 x 5 in.) 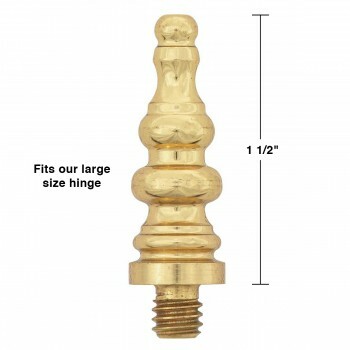 RSF brass hinges. 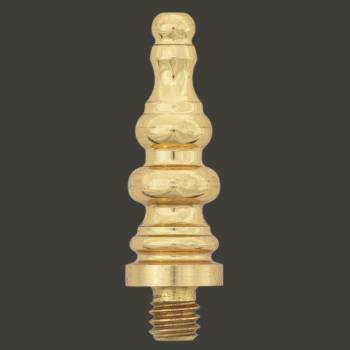 Order 1 pair of finials for each hinge. The overall length of these finials is 1 7/8 in. The tip only is 1 5/8 in..